If you follow the automobile industry at all, you probably know that Ford will be discontinuing production of all its passenger sedans and focusing on SUVs and trucks within the next few years. Fiesta, Fusion, Focus, Taurus, etc., all gone. The single exception is the Mustang, which will carry on. And just last week I read that the company is considering a four-door version of it, which should be interesting. But not completely surprising. Back in the 1960s, Ford actually put forward a prototype or two of a station wagon version of the Mustang. It didn’t look half-bad and a few of them are still in the hands of private collectors. 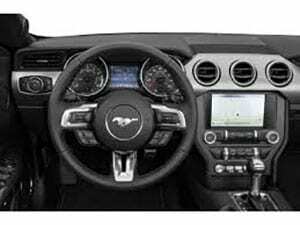 In the meantime, the Mustang will be on the receiving end of various upgrades and refinements, including an EcoBoost version, which I drove recently. This is one of eight variations of the latest iteration of Ford’s pony car. 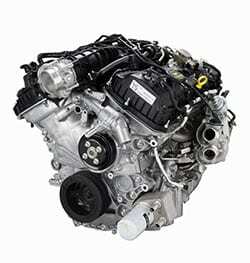 Power for the EcoBoost is provided by a 2.3-litre, four-cylinder that’s turbocharged and develops some 310 horsepower. It’s not the first time Ford has offered this kind of powerplant – way back when, you could get the third generation Mustang SVO with a turbo four cylinder – same displacement, too. It can be mated to a six-speed manual gearbox or, as was the case with my tester, a 10-speed automatic. I really had some issues with this gearbox (more on that later). The transmissions offer similar fuel economy: 9.4 and 9.7 litres/100 kilometres combined rating, respectively. With seating for four adults, the EcoBoost actually has some trunk space – 383 litres, according to Ford – and it’s available as the familiar fastback or a convertible. Both have the same drivetrain. And I would strongly advise against the automatic. My tester couldn’t seem to make up its mind what gear to be in and seemed to upshift and downshift willy-nilly during city driving. On the highway, no problem, but this gearbox is very hyperactive. You can shift manually with the optional steering wheel-mounted paddles, but that gets pretty tedious after a while. I also noticed that, when parked on an incline facing downward, the car really doesn’t like being backed up and the back end hops all over the place when you do it. Strange. 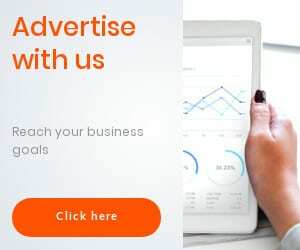 And should you choose the Premium version of this one, you’ll get an uprated sports suspension that definitely enhances handling but does it at the expense of driving comfort and low-speed stability. On bumpy, deeply-rutted roads, it requires a little muscle to keep it in line. My tester, the Premium version EcoBoost, had Recaro-style racing seats that absolutely killed my back, not to mention making ingress and egress much more difficult than it should be. The only way to get in and out of the car is to slide the seat back every time you leave or get in. Again, tedious. These seats also limited headroom for me and the whole driving experience was really uncomfortable. Twenty or 30 years ago, I wouldn’t have given it a second thought, but not now. But I still think this generation of the Mustang is one of the most stunning cars on the road. It easily has as much panache and style as anything costing twice as much. For a car that starts at under $30,000, it definitely punches above its weight when it comes to presence and curb appeal. But I pine for the days of the small displacement V8 engine, and even the previous V6 versions of this car were much more driveable than the EcoBoost. My car looked like a Mustang, with stunning paint and wheels, but drove like a Taurus. It just lacked that rough-around-the-edges, tactile edginess that made the car so endearing in the first place. 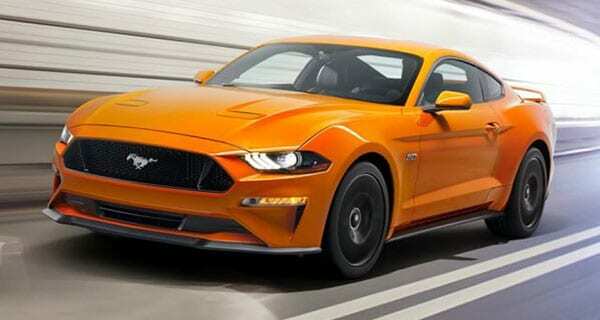 Ford has apparently decided to smooth out the edges of the Mustang with the EcoBoost version and in the process, have taken away much of the car’s core muscle car appeal. In short, were I in the market for this car, I would definitely look long and hard at the V8 version (it starts at about $10,000 more) and bypass the sport seats and autobox. Some alternatives: Chevrolet Camaro SS, Dodge Challenger, Scion FR-S, Cadillac ATS, Nissan 370Z.